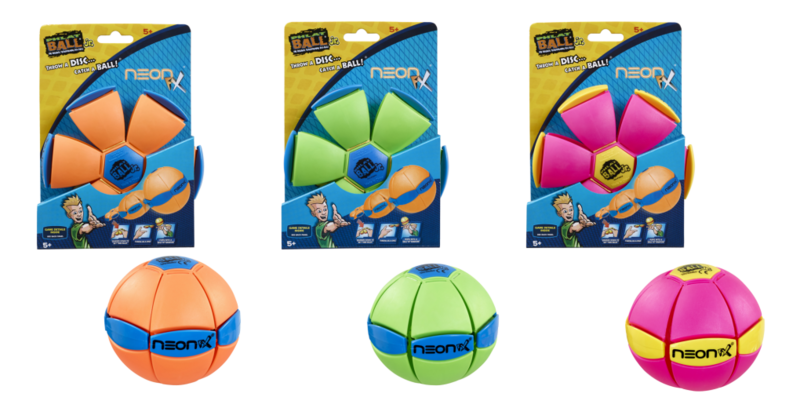 Neon FX - The original transforming disc ball! The original transforming disc ball! Throw a disc, catch a ball! Phlat Ball is a unique toy that transforms flying disc to a ball when thrown. It’s flexible material provides a comfortable grip for active play! Three cool Neon colours to collect green, orange and pink. One supplied.